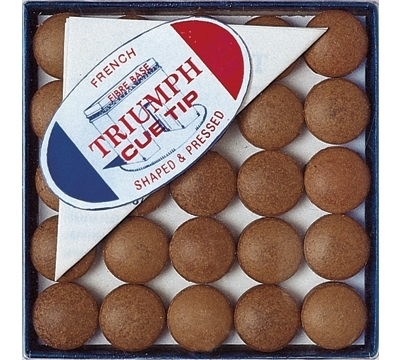 Triumph cue tips are made using only the finest imported leather and even then, use only the firmest portion of each hide which is specially treated. This red fiber-backed tip is one of the best performing tips you can own. 11mm.